"We are absolutely THRILLED to have the Walt Disney Worldwide Conservation Fund to recognize our Foundation and select us to be a part of their grant program. The great folks at Disney, Worldwide, gave us the encouragement and the basic fjunding to get this, now huge program its “walking legs”. That all occurred at DEMA, 2006. Since then we did apply for help and — DISNEY agreed. "Goose bumps" still come up when reflecting on DISNEY's terrific decision. Now Mickey Mouse and all of his animal friends support our efforts to save this Leatherback Turtle from extinction." "We are pleased with the continuing, outstanding support from Vivid-Pix to our Foundation through which a donation is made for each sale of their software for photo editing. 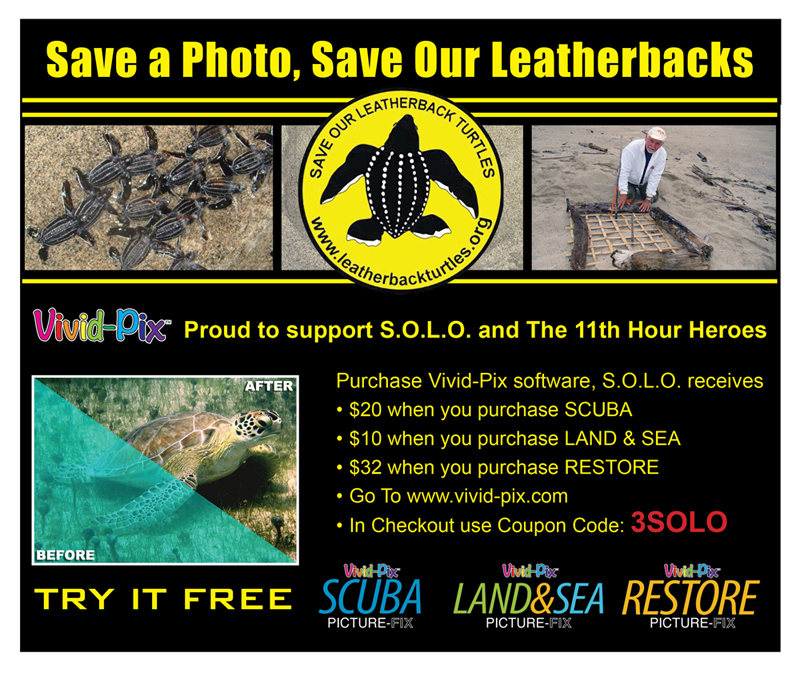 To create a donation from Vivid-Pix to S.O.L.O. 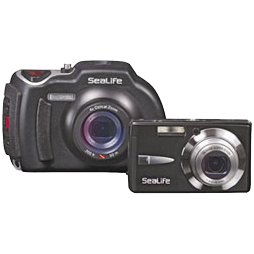 while improving your photos, Kindly click on respective software below.!" 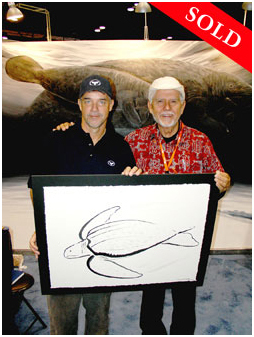 Whale painter and marine artist, Wyland, of Hawaii volunteered to become our FIRST Individual Donor and Sponsor. He created this terrific oriental brush painting of the Leatherback and donated it to the Foundation to sell as a Donation to the Foundation. A supporter of both Wlyand and this Foundation were gratified to have this original art sell for $4,500. Australian artist (now living in Canada) Ron Steven (a.k.a. ROGEST) creates his art by blending sea water and sand from dive sites into his paints to connect his art with the seas. His art is appreciated world wide. His work has been on the front covers of magazines in 4 Nations. His art portfolios are displayed in art studios of 7 Nations. 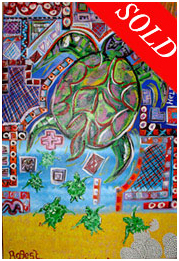 Ron created this Leatherback Turtle painting for our Foundation. It sold for $3,000, including a lovely wood frame to Ron Hand of Amphibico. A very limited number of signed reproductions are available at $20.00, including a Provenance of Rogest and his "Art of Water". This privately owned and funded Foundation selected us to assist in achieving our stated objectives. We were stunned at the initial selection and grant and continue to be constantly amazed with their positive support. E-mail us with any questions or comments about becoming a S.O.L.O. Sponsor today. Here we display our expanding list of those who are helping us. Please support them with your business and when you can, say "Thank You" to them for helping save the turtles. There is room to ADD YOUR name. Please help us!